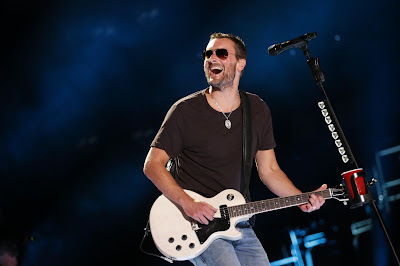 Musical road warrior Eric Church, last year’s top selling country music artist, will be honored by the Country Music Hall of Fame® and Museum when he becomes the subject of their next cameo exhibition opening Sept. 18. “Eric Church: Inside the Outsider” runs through February 2016 and will spotlight the North Carolina native’s hard-hitting path from a kid with a dream to becoming a multi-Platinum-selling country rocker filling arenas, amphitheaters and stadiums. The display will include guitars, song manuscripts, stage wear, photos and more personally chosen from Church’s collection.